Simply designed, Laurent Pelly’s new production of Manon avoids clutter to allow the beautiful, romantic music to take centre stage. Superstars Anna Netrebko and Piotr Beczala have rarely looked and sounded more beautiful, utterly captivating the audience with their passionate performances. 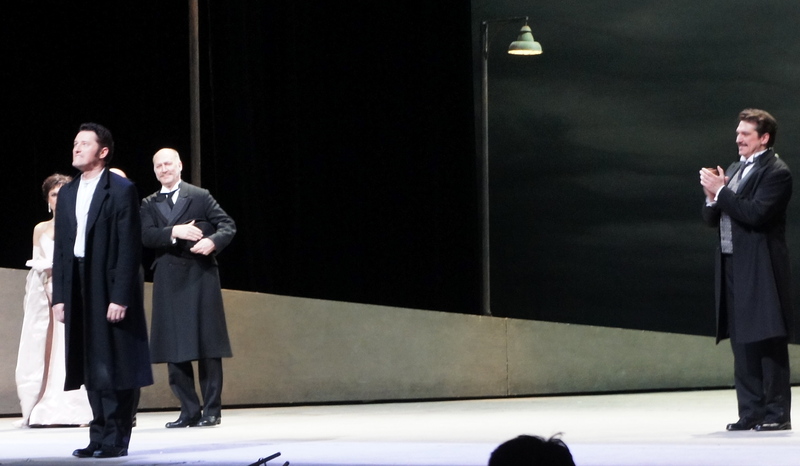 Set high on sheer, plain walls is the toy-sized streetscape of 1880s Paris we see at curtain’s rise. A mountain of luggage signifies the arrival of the coach as wide-eyed teen Manon enters, the Belle Époque world of the slightly updated setting suiting her love of pleasure perfectly. With “Je suis encore tout étourdie” and “Voyons, Manon” we are completely under Netrebko’s spell, making des Grieux’s instant attraction all the more understandable. Settled in their high, tiny garrett, Netrebko already shows development in the newly 16 year old Manon with “Adieu, notre petite table.” Beczala’s rendition of “En fermant les yeux” is as dreamy and entrancing as one could ever hope to hear, making his abduction, following Manon’s selfish choice, more tragic. Act three sees a crowd of men in top hat and morning coats, and women all in white. 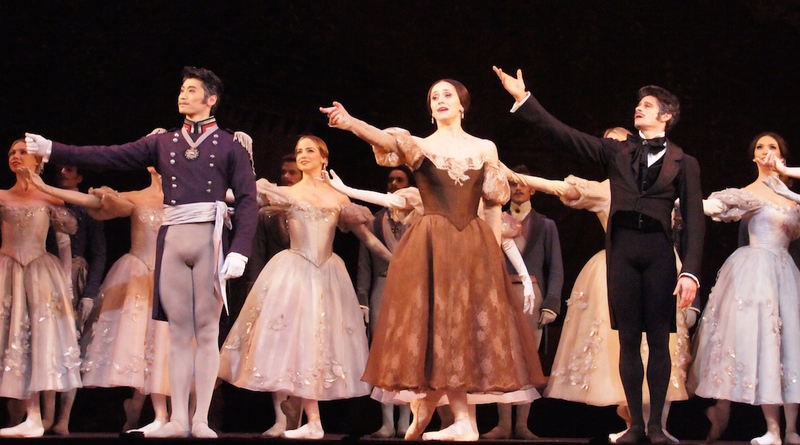 Just as all are admiring a set of beauties in pale pastels, Manon enters and attracts the attention of all. A cross between Hanna Glavari and Eliza Doolittle at Ascot, she is a vision in pale marshmallow pink in one of Pelly’s most extravagant costumes of the evening. A ballet troupe are, unfortunately, lost in the complicated set of ramps that make up the set for this outdoor scene. Manon’s increased assurance is demonstrated as she leads the men in “Obéissons quand lear void appelle” before we cross to des Grieux, now a chaplain at St Sulpice. Beczala outdoes himself again with “Ah! Fuyez, douce image” before the lovers reunite, to the delight of all. Completing the star power of the night is Brazilian baritone Paulo Szot, as Lescaut, whose wonderfully rich voice and magnetic charisma easily fill the cavernous Met. 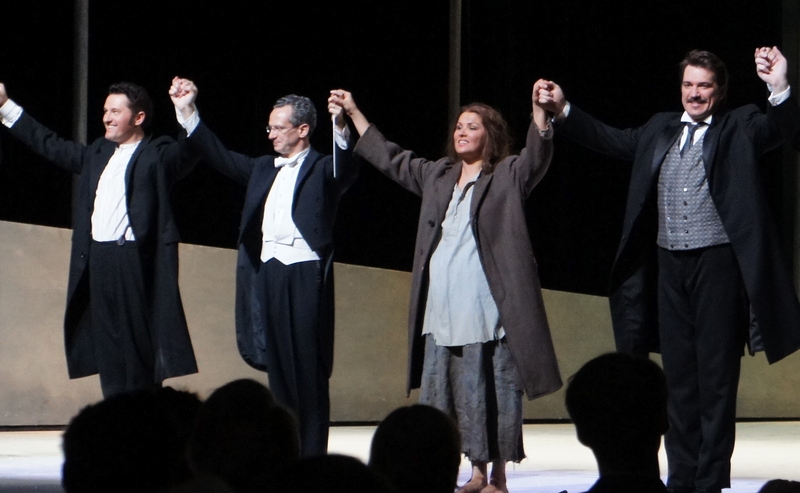 The stars align for a particularly strong sequence in act four with just Netrebko, Beczala and Szot on stage together and the sparks really fly. Christophe Mortagne, as Guillot, adds some comic colour with his fanciful body language. The sumptuous quality of Netrebko’s divine soprano is matched by the quality of her acting as she takes Manon on an involving journey from innocent youth to woman of means to destitute prisoner. As an ardent fan of Beczala already, having enjoyed his Rodolfo and his Duke live and his Edgar on film, I must admit to be really blown away by the quality of his work in Manon. If Kaufmann is the top serious German tenor and Florez is the top Bel Canto tenor then Beczala must surely be the top romantic tenor. He will no doubt be in high demand as a leading man even more after this stunning performance. While the simplicity of the settings, by Chantal Thomas, allow the music to shine, they are definitely on the simple side given the scale of production. There is certainly not a fraction of the wit and flair that characterized the same team’s delightful work with the settings in La Fille du Régiment. Did they really have fluorescent tube lights in the 1880s? And that was the review of Manon Lescaut. 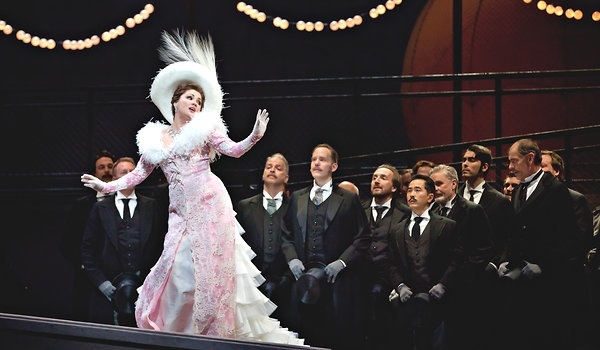 Manon plays at the Metropolitan Opera House, NY until 23 April 2012. Reviewed 8pm Wednesday 11 April 2012 at the Met. I saw it this evening. I liked it and recommend it. It was a tough ticket. Maybe sold out though I couldnt see what was doing in the upper reaches. Either Netrebkko sells tickets or putting her on every piece of marketing mail about the The Met sells tickets. Show started a bit late due to “problems with the house lights” (which sounded to me like when your flight is delayed for “mechanical reasons” — it could mean anything). Some empty seats in the Orchestra by the end second intermission but not many considering the late hour and a Tuesday. The only two still to come this year are Billy Budd and Macropolous Case (sic ?). Have you seen either and would you recommend ? Oh Siggy, It started late! It’s already so long!! 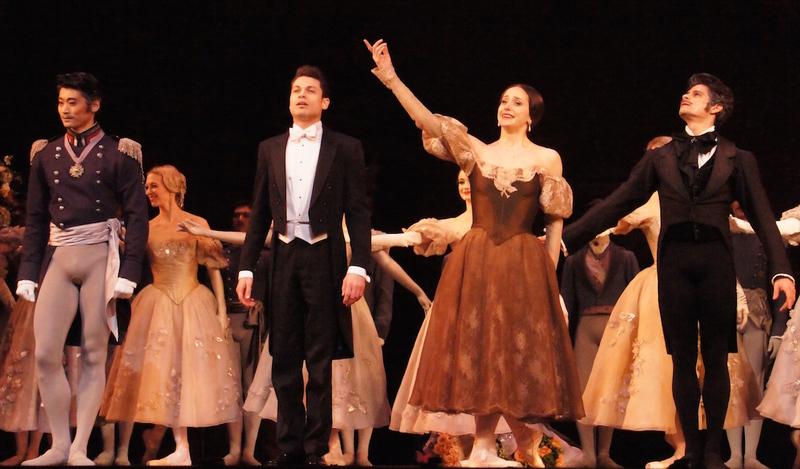 I loved Manon so much and, like with La Traviata, I am going again. I booked the tickets way back last year when they came on sale because I thought Netrebko would be so popular. They have shown so many images of her in Manon in their marketing that there were practically no surprises left when seeing the opera! Because of Netrebko, I am sure that this production will come out on DVD/blu-ray so that will be another chance to watch it. I wonder if you liked the tenor Piotr Beczala as much as I did. I am going to Billy Budd but The Makropulos Case did not interest me. Even Billy Budd is slightly outside what I normally like but I think it has an interesting story and I was also keen to see Nathan Gunn live – he is one of my favourites! You are so lucky to live in NY – you should subscribe next season and that way you will have all your tickets organized up front! You know so much about the stars and which operas you like now so you could easily pick which operas to see. I saw Gotterdammerrung on Tuesday. Wow that was long. Not my favorite of The Ring Cycle but not bad. Lots of streeching in German. Fat people. Swords. Death. Destruction. Very light. I was there as well! Disappointing that Deborah Voigt and Jay Hunter Morris were not part of the cast. I thought they would keep the same singers within each cycle of The Ring. Would you believe I am going to the whole cycle again?! Cycle 3. I want to be really prepared to review the staging in Australia at the end of 2013. 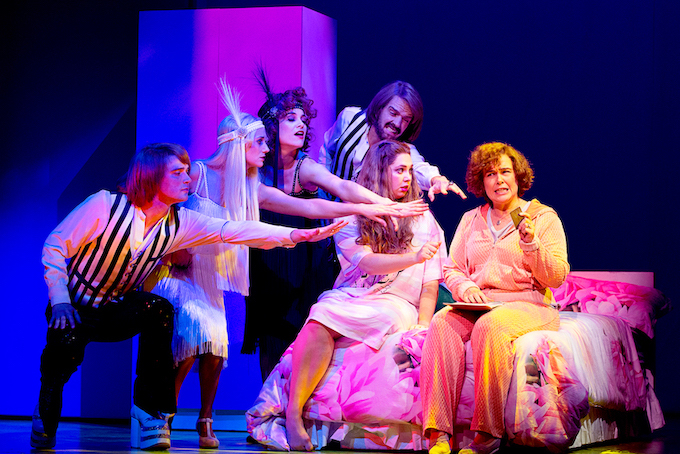 I had never seen it before and I have learnt so much from the Met production. Looking forward to Jonas Kaufmann in Die Walkure next time! It threw me the different cast from the other productions. Trying to figure out who was who, again. Outside the theater after the show I was chatting with a women and I said that it threw me the cast change from the other parts I saw. And she said it was Voigt. So I show her the program and she says “I can’t see that well from my seat”. But to my ears Katarina Delayman (I looked her up) doing Brunnhilde was a bit grating at the top end compared to Voigt. I’ve never seen J. Kauffman. When I saw Faust it was Joseph Callija. So I will try to catch JK when he appears in Siegfried, the only Ring part I haven’t seen yet, but it may be tough ticket-wise.